Hale Country Club which is owned by The Hut Group (who also own MyProtein) had made the decision to undertake an overdue refurb of equipment as well as flooring and décor. We were invited to provide a solution for the flooring. 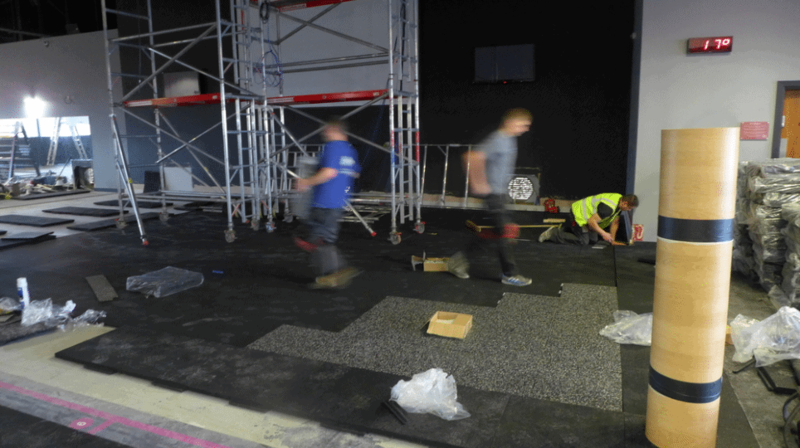 As part of our process we took in a range of rubber tiles and performed some drop tests because one of their main concerns was noise transfer from the gym to the offices and treatment rooms above the gym. They chose the 50mm Duraflex tile and decided to have it installed throughout the main gym which totalled approx. 700m2. 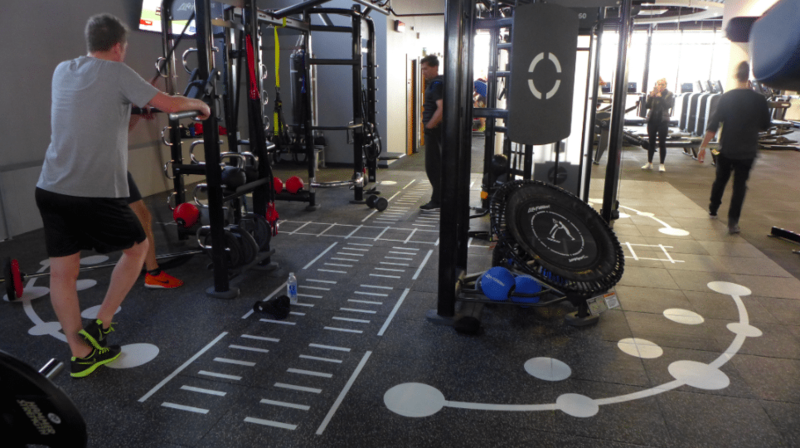 We also installed this in the HIIT room (100m2) as well as a custom made sledge track with the MyProtein logo. Under the Life Fitness Synrgy rig we installed a slightly different tile to give it a different look and installed Synrgy 360 markings. 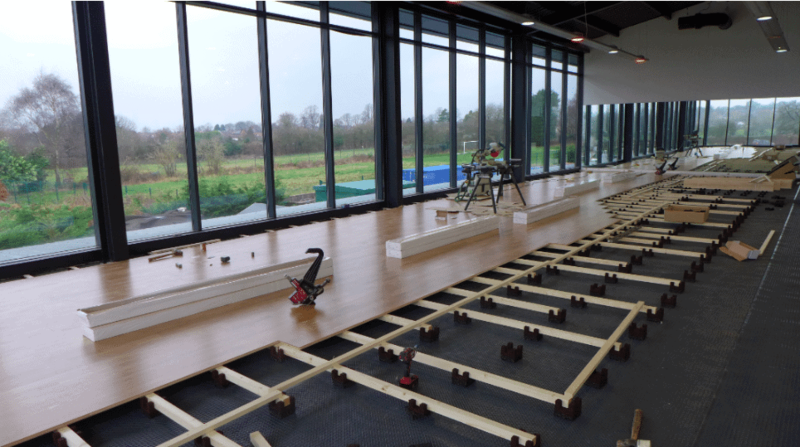 In the spin studio (66m2) we fitted a 10mm black rubber product and a new timber sprung floor in the main studio (200m2). The installation process took around 3 weeks and involved uplifting existing floor coverings such as carpet. The sub floor wasn’t level so we had a lot of remedial work to do. In the studio (200m2) they had severe water issues so we had to deal with that before installing the timber. One half of the studio was also about 2 inches lower than the other half so we had to level the timber battens to make sure the installation was 100%.